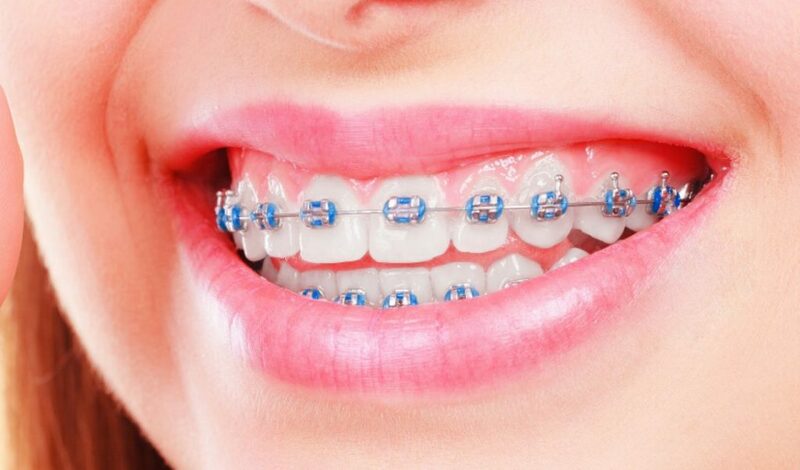 You, or your child, just get your braces on, you picked the best colors ever and you are soooo excited to show them off. You know how to keep them clean and what foods to avoid to take good care of them, and things are looking pretty good. After a few days, the newness of the braces has worn off and life has returned to normal. At lunch one day, you are enjoying a delicious and refreshing Diet Coke, and as you finish your drink you toss a few of the remaining ice cubes from the drink in your mouth and begin to chomp. Almost immediately you hear a ‘pop’ and you realize what you’ve done: broken one of your brackets off! Now what?!?! First thing is first. Remain calm. 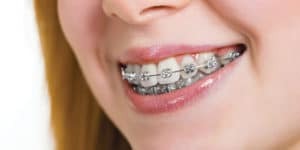 Luckily, when a bracket comes off it is not a true dental emergency and can happen to anyone with braces from time to time. Make sure you do not swallow the bracket if it has come off of the wire, and if it has, put it in a small baggie to bring into the office. If the bracket is still on the wire, do your best to not play with it with your tongue so that it will stay put. If the bracket is off and the wire is poking your cheek, try to place some of the wax we sent you home with on the wire to secure it. Next thing to do is give our office a call. If it is during normal business hours, we will get you on our schedule so we can get that bracket back on. Sometimes if your next appointment is a few days away and the broken bracket is not hurting you, we may save you a trip and just fix it at your next appointment. However, please always call and let us know. That way we can be more prepared and have the repair materials ready to go when you arrive for your next appointment. If it is either after hours or on the weekend, leave us a message and we will give you a call on Monday morning. While we do have a 24/7 emergency number and are ALWAYS available to help, it is important to save calling this number for a true dental emergency. At Weber Orthodontics, we try to do everything we can to prevent broken brackets. That includes excellent clinical care so the brackets are put on the best way possible. It also includes great patient education, so you know what foods to avoid that may break off your brackets. If we work together as a team to take amazing care of your brackets, we can avoid ever having any broken brackets! At Weber Orthodontics, we care about your kids’ health, and want their first dental experiences to be good ones. We offer traditional, clear, and Invisalign braces. Contact our office by phone (816) 746-1200 or complete our appointment request form to schedule an appointment.